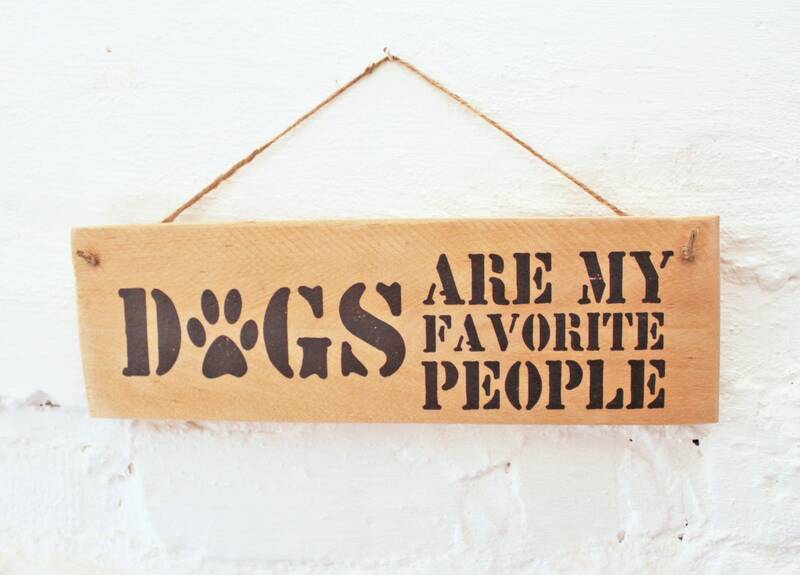 Charming wooden sign "Dogs are my favorite people." Ideal for the entrance area or above the sleeping/dining place of your four-legged friend as well as as a gift for dog people ♥. Individual prints are possible. A surcharge may be added depending on the costs. Send us a message via the contact form or directly to info [!at] toultime.de.